Fiji Revenue and Customs Service chief executive officer Visvanath Das. 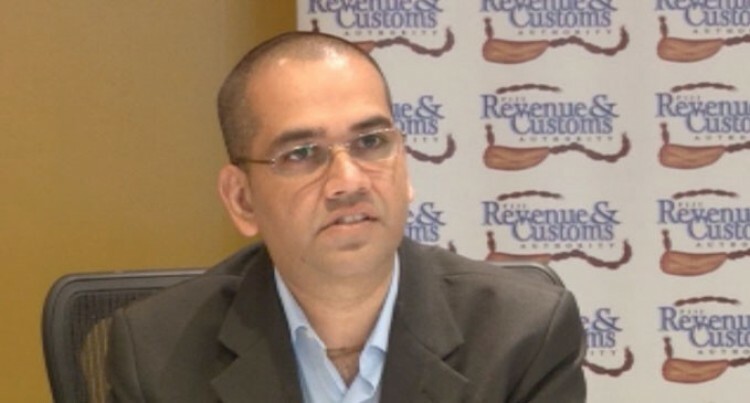 The Fiji Revenue and Customs Service (FRCS) has expelled a renowned automotive company from its gold card services programme for abuse and non-compliance to customs laws on numerous occasions. The company breached Section 137 of the Customs Act of 1986 whereby the company failed to adjust the price of vehicle parts to reflect the import duty reduction granted by the Government to make this affordable for Fijians. The duty reductions were not passed down to consumers. “The company’s selection to be a gold card member was based on the company’s Tax and customs compliance,” said FRCS chief executive officer Visvanath Das. “The Government, from the very inauguration of the gold card services initiative, clearly spelt out the disciplines of the initiative, and the consequences of any non-compliance. “The gold card initiative is based on high levels of trust and partnership towards voluntary compliance with rewards including priority facilitation, service and associated benefits. Audit and investigations into the business affairs of the company brought to light two instances of abuse of duty concessions. Duty concessions were applied but the product was delivered to a non-concessionaire. On another two occasions, duty reductions were not reflected in the pricing of the products, thus attracting fine of $100,000. Three separate instances of tariff misclassification to minimise duty liability was recorded. The gold card membership of the company and its nominees is now terminated. Hence, the companys’s access to gold card priority services at the gold card services center and the associated benefits under the gold card initiative has been terminated. “We work very closely with our taxpayers providing support and guidance on issues for voluntary compliance,” Mr Das said. “However, we noted in this instance that the company has failed to implement mitigating measures to address recurring offences. “We have room for technical and legislative interpretation matters to be amicably resolved. How do I become a gold card member? The prerogative lies with the FRCS CEO and the selection is based on compliance in the matters of taxation and customs. How frequent do you take in new gold card members? What is the turnaround time for members at the gold card service centre? Provided all documentation requirements are in order, you will be served as quickly as possible. What makes the service at the gold card service centre different from the normal FRCS? The members will be assisted by senior and experienced tax and customs officials and will enjoy the facilities such as free Wi-Fi, SKY TV and free coffee. Who can enjoy the service at the gold card service entre? The gold card member companies and their subsidiaries, plus related companies as well as two gold card nominees of the company. Is there any other benefit with the Gold Card issued to the nominees? The gold card unit works closely with other Government agencies for facilitation of services needed in the course of doing business.